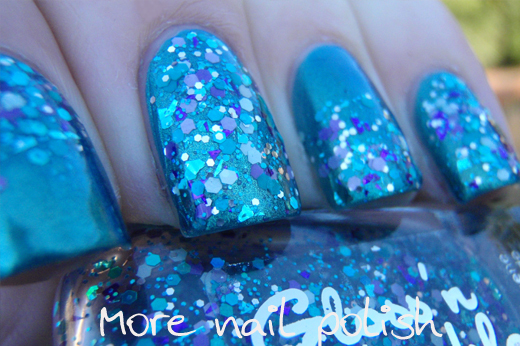 Here are two manis I wore this week featuring polishes from Aussie indie brand Gloss 'n Sparkle. 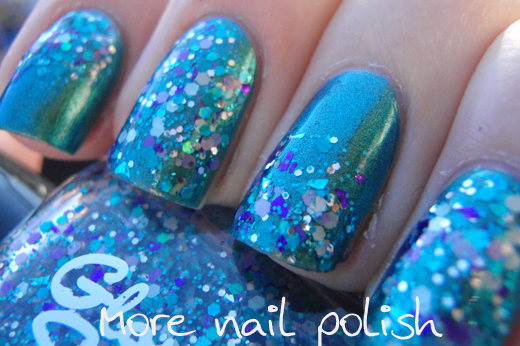 Continga has blue, aqua, teal, turquoise, lavender, purple and silver hexes and shredded glitter in a clear base. 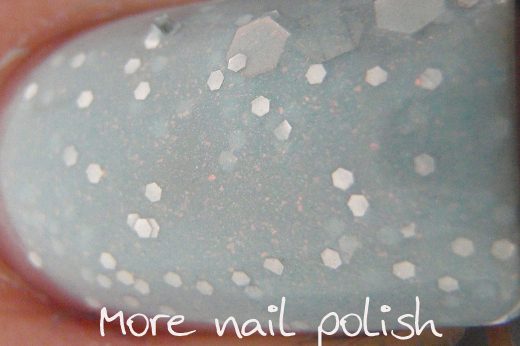 The swatch on the Gloss 'n Sparkle etsy site has this over black, and it looks gorgeous, but I really like matchy-matchy glitters, so I decided to put mine over China Glaze Deviantly Daring. I also thought I would mix it up a bit and only apply the glitter to the bottom and tips on two feature nails. This is one coat of Deviantly Daring and two coats of Continga, topped with Ulta3 non-chip and Seche Vite. The glitters were more sparse in this polish and it says it is specifically a top coat, rather than a polish you would build up to wear as an opaque glitter. The glitters were well behaved and completely flat. I really liked this polish with the combo of teal blues with the purples. Mirage is described as soft cool baby blue base with a pink/light gold shifting glass fleck look, a sprinkling of fine silver glitter and some large silver holographic glitters. 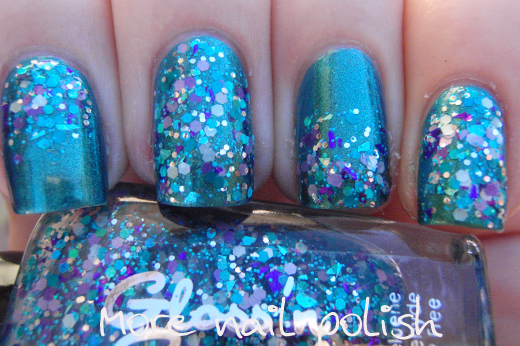 I tried my damnedest to capture the large holo hexes, but only got one showing in the bottle. This is three coats of Mirage with a coat of Seche Vite. This also applied easily and the glitters lay flat. These are available from Gloss 'n Sparkle Etsy store. 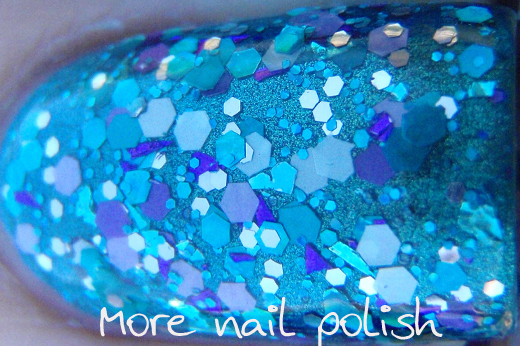 She really has a huge range of polishes available and her etsy swatches are excellent. These are both lovely, but Continga over Deviantly Daring is especially nice.